Laying the feast of home education, and sometimes hiding in the closet with chocolate. Welcome to Minding My Peas! I’m Elizabeth, wife to Superman and minder of three wonderful children whom I affectionately call “my peas”. I am obsessed with books and learning new things—and those are two of the main things I hope to share with my children as we embark into our years of home education. I’m drawn to the Charlotte Mason and Classical Homeschooling styles, but more than being rigidly ensconced in method, I want our focus to be nurturing their love of learning, comprehension, and their confidence. I don’t believe in a one-size-fits-all education, and hope that this will be a place where we can connect and converse about many unique teaching methods and learning styles. Beyond homeschooling, I love to share about budgeting, saving, and the real-life business of raising kids (and homeschooling them). My husband and I spent the first 4 years of our marriage saving all that we could while he went wherever the Navy sent him so that we could purchase our first home in cash. 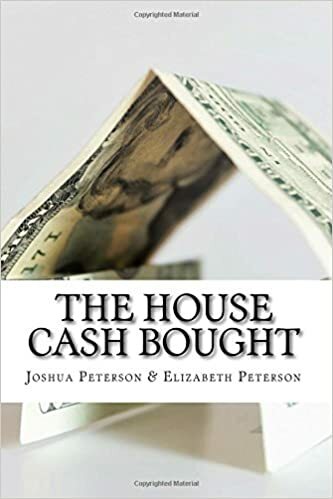 We bought our house in October of 2015, and wrote a book about it–The House Cash Bought–available on Amazon. We are currently in the process of saving for our next house, and I’m excited about the opportunity to share that journey. I’m Elizabeth, wife of superman and minder of 4 wonderful children whom I affectionately call peas or circus monkeys, depending on the hour. I’m obsessed with books and learning new things, and this blog is where I share what we’re up to in our book-devouring, home-educating life, while I sneak dark chocolate at naptime. Welcome! Available now in print or kindle edition!